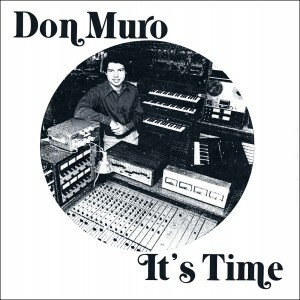 Originally self-released in 1977, synthesizer pioneer Don Muro’s It’s Time is the singular work of one man combining his skills as a trained musician with a truly creative spirit and the somewhat unmarketable insistence that all of these different styles of music would make up his debut album. While this kind of genre hopping can often take away from an album’s coherence, “It’s Time” works as a whole because these are such well-crafted and interesting songs. At times playfully fun, at times beautifully earnest, It’s Time is consistently engaging for its entire 42 minutes. Muro’s sincere love of what he is creating shines through whether it’s a catchy, triumphant rock anthem, a subtly emotive instrumental synthesizer piece or an intense fusion dance jam.